Can I open an account on line? Do I need special software to access my account? Can I access information about my account online? Can I set up an “address book” with most common shipping addresses? Do I get a discount for placing an order online? How long does it take for a package to get delivered? Can I change the destination choice of my package once it has been picked up? Do all packages cost the same to deliver? Can I get a price quote online? Do you ship to locations outside of NYC? How much do shipments outside NYC cost? Q.How do I establish an account? A. You can call an account representative directly at 212.594.3001 or you can fill out our on line application. Q.Can I open an account on line? A. That area of our website is currently under development, and will be available soon. For information, call us at 212.594.3001. Please check back again. Q.Do I need special software to access my account? A. No. All you need is Internet access. Q.How do I add users to my existing account? Q.Can I access information about my account online? A. Yes. Once logged in you have access to all your order information for the last six months. Q.Can I set up an “address book” with most common shipping addresses? A. Yes. Just log in, click on address book and your personal address book will come up. You can then enter new entries or edit existing ones. Q.Do I get a discount for placing an order online? A. Discounts are available for volume users. Please call 212.594.3001 to discuss. Q.Can I place an order with a phone call? Q.How do I track a package? Just click track and enter the tracking number you received when placing your order. 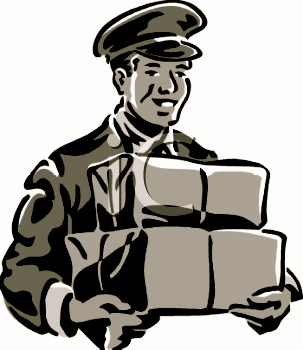 You can also call our customer service number at 212.594.3001 and we will be happy to track the package for you. Q.How long does it take for a package to get delivered? A. LightSpeed can handle your larger deliveries through our fleet of vehicles. We have the right vehicle and right equipment for whatever you require. Our standard van delivery service provides includes pick up and delivery within 120 minutes of order within zone. Please allow an additional 20 minutes for additional zones. Q.Can I change the destination choice of my package once it has been picked up? A. Please call 212.594.3001 to request our “published” rates. Discounts apply for regular and high volume users. Call for more information. Q.Do all packages cost the same to deliver? A. No. We offer different service levels and have different prices depending what is being delivered. Please call for more information. Q.Can I get a price quote online? A. Yes however, the quoted rates will not include charges for unexpected occurrences such as waiting time or incorrect addresses. Q.What kinds of items will you pickup and deliver? Q.Do you ship to locations outside of NYC? A. We can deliver your package to anywhere in the world through our partner network. Q.How much do shipments outside NYC cost? A. Costs vary based on destination, service level required and size and weight of the shipment. Please call 212.594.3001 for a quote.